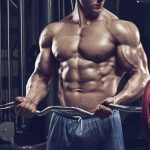 “Lift heavier bro!” Whether you’re a bodybuilder, athlete or a fitness enthusiast, I’m sure you’ve heard this uplifting musclebuilding advice before. But gaining lean muscle isn’t as easy as it sounds; most people often struggle to put on mass. If you’ve endlessly been working for more muscle but haven’t seen any significant gains, you’re probably making one of these five mistakes. No, this has nothing to do with people starving themselves, but what it does have to do with is people starving their muscles. Think of it this way: would you be able to build a house if you have the blueprints and the construction workers but no raw materials? Absolutely not! Muscle deals with the same concept. It’s not going to magically appear; it requires the right amount of nutrients in order for it to grow. This means sufficient amounts of protein, carbs and fat. If you don’t consume enough food, your body won’t be able to use calories for repair and growth. You can lift weights until your muscles completely give out, but without sufficient or adequate calories, resistance training won’t affect your muscle mass. Now, you’re probably wondering how many calories you would need to consume in order to build more muscle mass. An easy way to do this is to take your total body weight in pounds and multiply it by 15-17 calories. For example, if you’re 180 pounds, you would be shooting for a daily calorie intake of 2,700 – 3,060. After a few weeks if you still don’t feel you’ve built significant muscle mass, try upping your calorie intake by 10%. When you’re putting your body through an intense training session, you’re putting a lot of stress on your muscles. The more stress you’re muscles endure, the better your nutrition needs to be. This is where protein can help. Different proteins contain different amino acid profiles, which are very beneficial for muscle repair and growth. For instance, if you were to take NITRO-TECH® 100% WHEY GOLD, you would be getting 24g of premium 100% whey protein per serving! Not only are you contributing to your daily protein intake, but you’re consuming protein that has the highest biological value out of any other protein source. Pushing your body to the limit during training will help your muscles grow, but significant change won’t occur until you’re resting or sleeping. One hormone that plays an important part in this change is the human growth hormone (HGH). Our HGH levels are at their highest when we’re sleeping. Moreover, there is a study that directly associated lack of sleep and high cortisol levels.3 Cortisol is a catabolic hormone that breaks down muscle, and that is the absolute last thing you want when trying to build muscle mass. With that said, you might be inclined to try Test 3X™ SX-7® Black Onyx® testosterone booster. It featured three powerful ingredients backed by separate, human clinical trials shown to boost testosterone, decrease estradiol and reduce cortisol levels. You charge your phone at night, right? Do the same thing with your body so it’s performing at its best. Making the necessary changes to help achieve your goals is one thing, but sticking with it is another. You can’t expect to see significant results if you only put in the time and work for a few weeks. You need to remain consistent with every piece of your training program. There is nothing wrong with taking a few days off to recharge your body or going out one night to party. Everyone needs their down time. But going back to bad eating habits, not enough rest and getting lazy at the gym, will set you back, and you’ll lose all the progress you’ve worked so hard to achieve. Not only that, but you may also notice other people in the gym that were smaller and weaker than you become bigger and stronger than you. You need to give 100% in the gym and 100% out of it if you want to gain some muscle! 2Cholewa et al., 2013. Journal of the International Society of Sports Nutrition. 10:39. 3Leproult et al., 1997. US National Liberty of Medicine. (10):865-70.